My libertarianism comes out strongest with my opposition to our endless foreign adventures, especially Iraq and Afghanistan, but including Yemen, Pakistan, Libya, etc. I've made it clear in past commentaries that I'm opposed to foreign aid to all countries -- including, but not limited to Israel, Jordan, Egypt and Pakistan -- all of which receive huge amounts of money from a nation that has plenty of problems on the home front -- and that frankly is busted, flat broke, insufficient funds. To put it simply and bluntly, I'm the anti-Woodrow Wilson, my pick for one of the most interventionists of all our Presidents. He's also the most overrated president, revered by many who don't know about his racism and his willingness to intervene in any country's internal affairs at the drop of one of his famous top hats. Call me a Midwestern isolationist, call me anything, but let's stay out of other nations' civil wars. 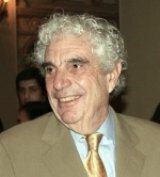 I'm glad to see my former Los Angeles Times colleague Bill Boyarsky speaking out on an exit strategy for what he calls the "purposeless war" in Afghanistan (Link: http://www.truthdig.com/report/item/spare_us_the_propaganda_on_afghanistan_20110609). Boyarsky retired from the paper in 2001 to teach journalism at USC; when I left the L.A. Times in 1990, he was already one of the superstars of the newspaper. I think he's an unabashed liberal, but, in spite of that, he's a smart guy and a savvy newsman, so when he speaks, I listen. (The column is also on the latest Reader Supported News, another liberal site I receive daily: http://www.readersupportednews.org). The White House account of President Barack Obama’s meeting with his Afghanistan team was insultingly vague for anyone wanting to know when—or if—the Afghanistan war will end.After Monday’s session, which followed Secretary of Defense Robert Gates’ much-publicized trip to Afghanistan, this was all that was available on the White House web (propaganda) site:“The President led his monthly meeting on Afghanistan and Pakistan with his national security team this morning. During this session, the President received briefings on progress in implementing our strategy for Pakistan and Afghanistan following the death of Osama bin Laden....Nowhere was there a hint of an answer to a question a soldier asked Gates during his Afghanistan tour, as reported by The Los Angeles Times. The question was, “Sir, since the death of Osama bin Laden, has the military strategy changed at all?” His answer, versions of which were given at other bases Gates visited, was, “We’ve made a lot of headway, but we have a ways to go.”Just how far to go in this purposeless war is the subject of the current internal debate in Washington, one that is so heavy in muddy language that it is impossible for outsiders to follow. But the truth is, it’s probably already settled. We’re stuck in Afghanistan as long as Obama follows his present policy. From the earliest days of the 2008 presidential campaign, it was clear that neither Obama nor Clinton would pull us out of Iraq or Afghanistan with any great speed. Obama, in fact, seized on the idea of expanding the war in Afghanistan as a way of defending himself from Republicans’ and candidate Clinton’s attacks for his criticism of the Iraq War. And no matter how much he criticized the Iraq misadventure, he always advocated the amorphous idea of keeping a small residual force there. When Obama chose Clinton as secretary of state, he picked someone who was like-minded.That is why the current Afghanistan review taking place in the White House doesn’t mean much. Judging from Clinton’s words, the United States will continue to battle the Taliban until it agrees to what amounts to unconditional surrender to this nation and Hamid Karzai’s government. This indicates that next month’s troop reductions will be small. In the short run, the administration may get away with this fake debate because the war continues to be a low-visibility event in the news media. And because no strong anti-war movement has developed. But this could change. An ABC News/Washington Post poll taken at the beginning of June showed that just 43 percent of those surveyed felt the war was worth fighting, and 73 percent said a substantial number of troops should be withdrawn this summer. Another sign of expanding opposition was the narrow defeat of a House resolution calling for accelerated withdrawal, introduced by Republican Walter B. Jones of North Carolina and Democrat Jim McGovern of Massachusetts.An increasing number of people want to know how long we’ll be in Afghanistan, not to mention why we are there. Hopefully, their ranks will grow, and Obama, worried about re-election, will listen. Bill Boyarsky, political correspondent for Truthdig, is a lecturer in journalism at the University of Southern California’s Annenberg School for Communication and is vice president of the Los Angeles City Ethics Commission. Boyarsky was city editor of The Los Angeles Times when he retired in 2001. Before that, he was a columnist, city-county bureau chief and political writer. He was a member of reporting teams that won three Pulitzer prizes and has received awards from the Society of Professional Journalists. In 2010, the Los Angeles Press Club honored Boyarsky’s original columns in Truthdig by naming the author the Online Journalist of the Year. Boyarsky has also taught at the Medill School of Journalism at Northwestern University, California State University at Northridge and the Graduate School of Journalism at the University of California at Berkeley. He was given a fellowship at Berkeley for research on his biography of the late California political leader Jesse M. Unruh, “Big Daddy: Jesse Unruh and the Art of Power Politics” (November 2007). Boyarsky’s latest book is “Inventing L.A.: The Chandlers and Their Times” (September 2009). He is the author of four other books: “The Rise of Ronald Reagan”; “Ronald Reagan, His Life and Rise to the Presidency”; “Los Angeles: City of Dreams”; and “Backroom Politics.” His wife, Nancy, was co-author of Backroom Politics.